Last night I experienced the touring production of the Tony lauded musical Jersey Boys at Seattle’s 5th Avenue Theatre. The show hunkers down in Seattle until May 4th, after that, it’s back on the road for the world’s best Frankie Valli and The Four Seasons cover band. If you enjoy catchy tunes sung really well, then you’ll love Jersey Boys. If you desire an engaging plot with complex character development and relational interplay, Jersey Boys will be less satisfying. Jersey Boys is what might happen if a tepid episode of VH1’s Behind the Music was turned into a musical. The main purpose of the plot is to relay the significant events that led to the formation, successes, and failures of the Four Seasons and the eventual solo career of Frankie Valli. Like any good band documentary, there are many interesting plot points about the serendipitous events and masterful decisions that accompanied the formation of a music phenomena. Personally, I found the relationship between songwriter/producer Bob Gaudio and Frankie Valli to be the most interesting aspect of the story. Bod Gaudio’s progression from the writer of the one hit wonder, “(Who Wears) Short Shorts” to a hit making genius is a rather fascinating story; particularly in light of his commitment to partner his song writing talents with the angelic voice of Frankie Valli. There are other interesting developments in the musical, but for the most part they are in the category of the generic band story rise to fame narrative. To break up the monotony of a band biopic presentation, the story is told from the four different perspectives of the original Four Season’s band members. Although there are differences in their take on events, it is not an extreme contrast. One narrative clearly takes over the stage and is pitched by the four leads. To be clear, Jersey Boys is excellent at doing what it does! The performers are powerful singers who bring complete believability to their roles. From the moment they start singing, we believe they are the legendary group. When Brad Weinstock first sang out as Frankie Valli, I breathed a sigh of relief. Instead of a strained impersonation, I experienced a strikingly beautiful voice that brought new life to old favorites. Jersey Boys’ strength is the music from beginning to end. In fact, Jersey Boys is strong in every area that is presented on the stage. The acting, music, set design, production value, and overall feel of the show is perfect. Even so, the perfection of musical execution could not overcome the lack of plot depth. There simply is not enough conflict, resolution, and character development to move the show beyond a really fun night of enjoyable music. With so much good music and a less than meaty plot, there were times when the musical felt like the world’s best cruise ship musical review. At one point, the audience cheered and applauded when they realized Frankie Valli’s biggest hit was about to be sung. At that moment I felt like I was in Branson, Missouri surrounded by hundreds of grey haired adults reliving their childhood. I also began to understand why Jersey Boys is so popular. It fits the demographic of old rich white people who are able to afford the ticket price of a Broadway caliber show. For those reminiscing their teenage years, it might be an incredibly nostalgic and heartwarming show. For those of us who weren’t raised on The Four Seasons, it just kind of becomes a fun musical biopic about some very talented Jersey boys who make it big. 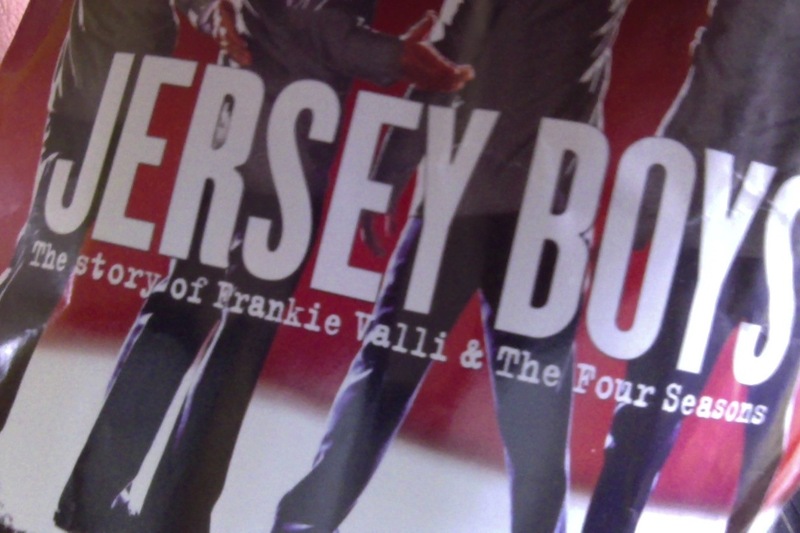 Jersey Boys has plenty of explicit Jersey language, so I recommend the show to any adults who want to have a fun night reliving their past or learning about the past of a really good singing group. For those looking for a little bit more musical drama complexity, Jersey Boys might not be your ticket. Thanks for the review, I saw it on Sunday, and really enjoyed the music for sure, but I get what you are saying about the actual content of the story, I think it was more a vehicle to showcase the music. But I also learned some interesting back stories about them, they were popular ahead of my time, but love those harmonies. I also saw this the last time it was at the 5th Avenue and thought this time around the set design had more interesting parts to it. I could do without all the swearing, or wish they could tone that down some, they wouldn’t lose anything in the story by doing that.